I was very pleased to aquire this fantastic video from my friends in Hungary, Gyorgy Bazar and Fabian Istvan of the 1936 Olympic Games and the coverage of the water jump, which as I understand it was the first deep water introduced in the Olympics. 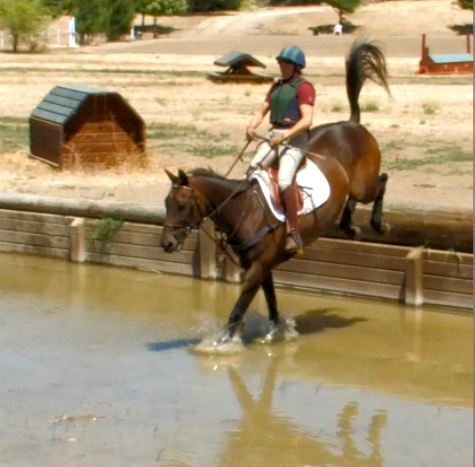 It brings back many memories of my eventing days and experiences with the water along with a couple of my team mates, Michael Plumb and Michael Page. We were also victims of deep water in the Olympic Trials for Tokyo, 1964 and I have included some of the footage of that particular water obstacle in this video as well. 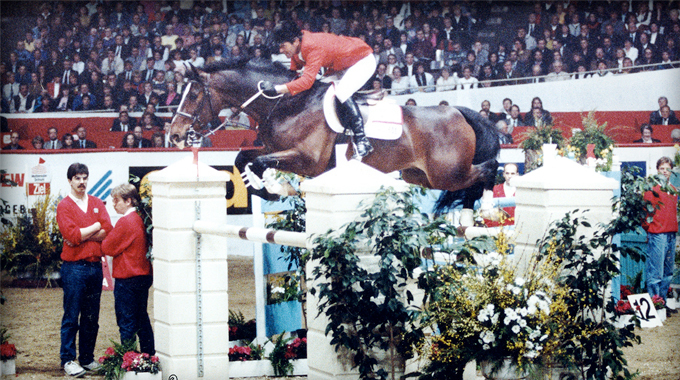 In this video, Bernie Traurig takes a look back at the progression water jumps have made in the sport of eventing. 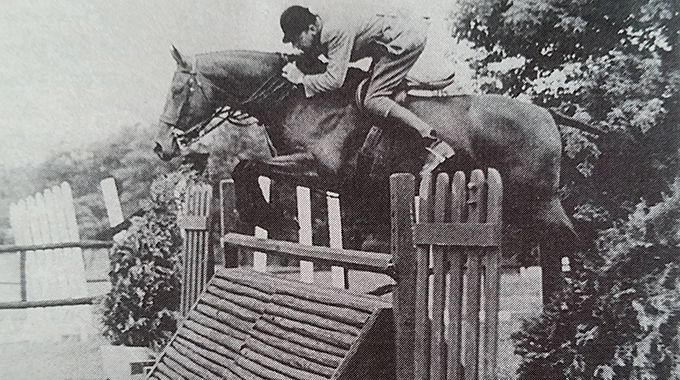 You’ll see unbelievable footage of horses and riders negotiating the very first and very daunting water jump that made it’s debut at the 1936 Berlin Olympics. 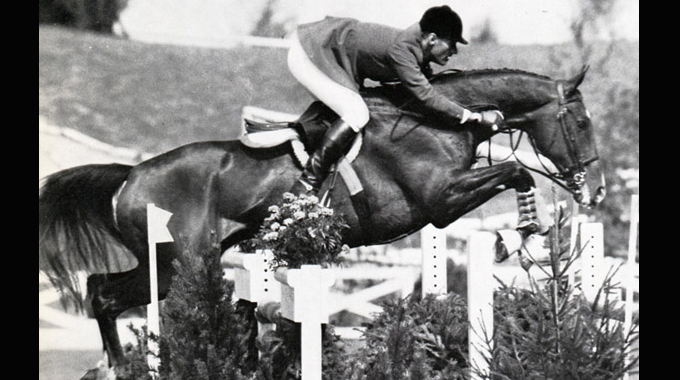 Eventing super star, Michael Plumb, makes quite a splash in rare footage from the 1964 Olympic Trials in Gladstone, New Jersey. 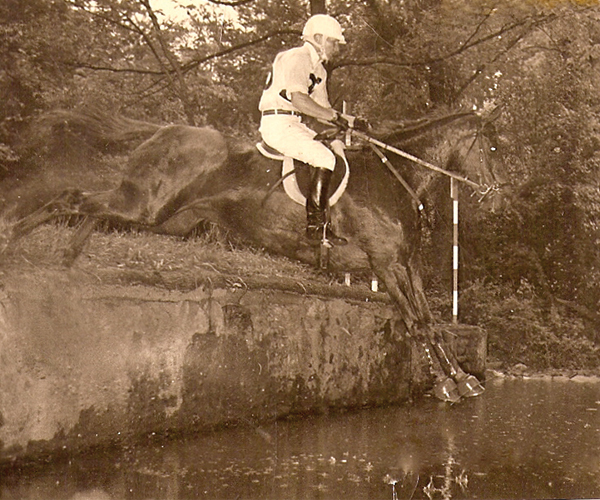 The more “civilized” water obstacles used today can be seen in 2007 footage when Olympian Gina Miles and her horse McKinlaigh skillfully negotiate the water at the beautiful Badminton Horse Trials.